Bruster’s: B1G1 Waffle Cone for Your Birthday! 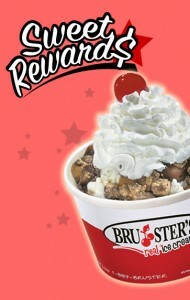 Join Bruster’s Sweet Rewards Club, and you’ll receive a voucher good for a buy one, get one FREE waffle cone on your birthday. Bring your significant other or your best friend out to celebrate your day and share in the deal. You’ll also receive a special offer when you join and again on your membership anniversary. Happy Birthday!